How can I add a team member whose ID is on a different domain? thanks for posting, Kritika! 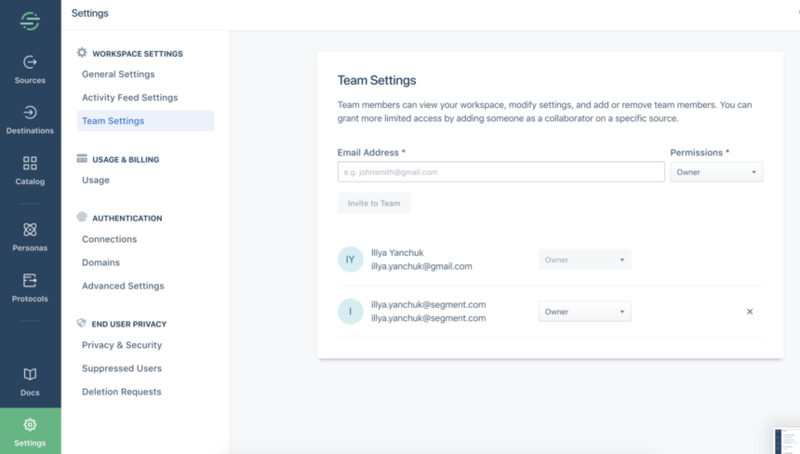 You should just be able to navigate to Settings > Team Settings in your Segment UI and invite others by entering their e-mail address (unless I'm misunderstanding your question). Here's an example of my personal Segment account (@gmail domain) having my Segment user profile (@segment domain) as another team member. Let me know if this works.